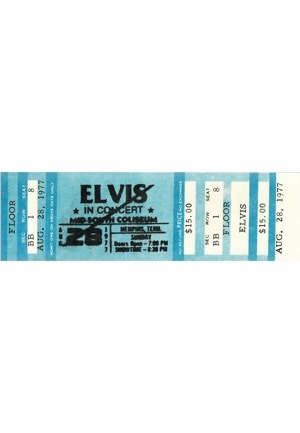 An Elvis Presley “In Concert” full ticket dated August 28, 1977 in Nashville, Tennessee. Presley passed away on August 16th of that year so the concert never happened. 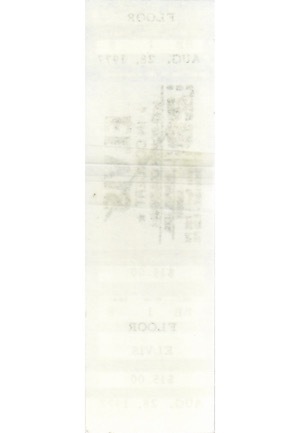 The ticket is a floor seat in row 1 seat 8 and cost $15.00.